On Friday Dundee City Council issued a press release talking about the 'Significant economic benefits of an £80.11 million project to construct the V&A Museum of Design Dundee.' This might have been a worthy sentiment if it was not a failed attempt to distract from the near doubling of the cost of the V & A project. I am astonished at the cost increases in the V & A Project. I have questioned the cost of the whole project time after time, and always been told by officers that there was no chance of the cost exceeding £45million which eventually crept up to £49million. It was shocking that the costs were just so wrong. Everyone knows that most big construction projects suffer from rising costs which is why my colleagues and I always asked about this. I am appalled that the answers we got were just so wrong, did some people hope that we wouldn't notice? I am clear that my support for the V & A at Dundee has been strong from the very beginning. I think that the V & A does have the potential to be a game-changer for the city of Dundee but I do not think that this should mean that it is a blank cheque. There is a need for a thorough investigation into how this happened and how lessons can be learned. I believe that Dundee City Council will need to examine in detail how to operate in the future. As an elected member I need to listen to the professional advice of officers of the council. I am concerned that that advice seems to have been partial at best. My colleague Councillor Kevin Keenan asked on numerous occasions for information about the costs of the V & A and he was refused this information time after time. This is unacceptable. Along with my colleagues in the Labour Group I will be seeking further information and trying to get some reassurance about the future of the V & A Project prior to the meeting of the Policy & Resources Committee on 26th January. My colleague Kevin Keenan sets out his concerns in the Evening Telegraph. I would also say that my concerns about the use of a contractor with a track record of blacklisting, which has not made appropriate reparation, have not gone away. Camperdown House - Priority or not? At Monday's Policy and Resources Committee (pages 34-66) we were presented with a report on Dundee being named as a UNESCO City of Design and also on the city's Cultural Strategy. I asked a question about whether we can expect to see concrete action at Camperdown House and I was told that it was a low priority. I have been seeking action to give Camperdown House a long-term sustainable use for a number of years now. I was disappointed to be told that plans to refurbish and find a long-term use for Camperdown House were a low priority in the city's cultural strategy. I think that time after time Camperdown House misses out, which is a real shame. I think that the people of Dundee would like to see a long-term sustainable use found for Camperdown House. I have seen a number of reports over the seven years that I have been a councillor which have given the impression that something was going to happen at Camperdown House, so far these have resulted in money being spent on the roof but little else. I know that it would take significant investment to get the House back into public use and that this might be difficult to find in these difficult financial times but if we don't try then nothing will happen. I think that the council should listen to the people of Dundee about what they think should happen to Camperdown House. I think that there could be a commercial use for parts of the House, perhaps as a hotel or restaurant but I also think that there must be public access to part of the house. That access should reflect the history of the house, the history of the Battle of Camperdown and Admiral Duncan, the history of the actual house and estate built up by Admiral Duncan's family, the social history of running a country house which covers the aristocrats who lived there but which also, importantly, covers the history of the workers who make the house work. Dundee has recently been made a UNESCO City of Design and I think that Camperdown House present an interesting design challenge. Can we come up with a plan which is economically viable but which also allows public access to Camperdown House? I am seeking a meeting with council officers, in the first instance, to see where we go from here. 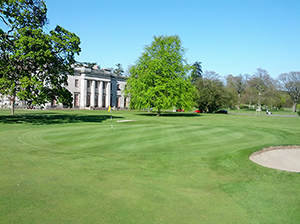 It is not acceptable to say that we have ongoing plans for Camperdown House and also to say that they are of a low priority. The people of Dundee who pay their council tax which the council spends on keeping Camperdown House closed want, I think, to see action and some return for their investment. In the run up to Dundee City Council setting its Budget on 12th February I am calling for the council to listen to the people of Dundee when it comes to setting the Budget and implementing cuts. At least 16 Scottish councils will be carrying out some kind of public consultation on their budget proposals. I believe that Dundee City Council should follow this lead and in the future set out the proposals and consult on them. The council should have nothing to fear from listening to members of the public. It is also important that we listen to the organised voice of the workforce through meaningful consultation with the trade unions. We are around one month away from Budget day on Dundee City Council. Budget Day is an important day and the decisions made on that day have a huge impact on services across Dundee. Councillors are ultimately responsible for the decisions that are made and we should take our responsibilities seriously but that does not mean that we should not listen to the people of Dundee. I think that there should be a formal and meaningful consultation process where the public of Dundee can make their views known. We should give the people of Dundee the information and trust them to have sensible views on the actions which we should take. Across the country around half of Scotland's councils are holding some kind of consultation about their Budget proposals. I do not think that we should have anything to fear from listening to the citizens of Dundee. The council should aim to be a listening council which takes on board the concerns of the people of Dundee. Decisions on the council's Budget should not be made in the secretive Changing for the Future Board but should be made in consultation with the citizens of Dundee. A future Labour Administration in Dundee would carry out an open, transparent and meaningful consultation with the people of Dundee on Budget decisions. We believe that the council should share information with the public and give the citizens of Dundee the opportunity to make an input into the Budget process. On Monday evening at the Environment Committee there was a report on buying the containers for the new recycling plans for the city. I was happy to support the report. I asked about progress on the new recycling plans and about the consultations which are meant to be going on. I want Dundee's recycling record to improve. I want the many flatted properties in Dundee to enjoy a full range of recycling services. I do think that the consultation should be more meaningful. I thought that it was the wrong way round to say that the consultation would take place after the decision was made. I am concerned that the meetings which will be coming up are more about sharing what will be happening than discussing what will be happening. Essentially no consultation will be taking place. I was pleased that the Convener and the Director agreed to my suggestion that these meetings will be at a variety of times including during the day, in the evening and at the weekend to try and ensure that as many people as possible are able to attend the meetings. I think that the lack of meaningful consultation regarding the changes to recycling is a mistake. This is a major change that will impact on everyone in the city. I think that more efforts could have been made to engage the citizens of Dundee with the process. I want this policy to succeed but I am concerned that the policy has been undermined by the way in which it is being implemented. As Labour's Environment spokesperson in Dundee I've expressed my on-going concern about air quality in the city. I've raised these concerns about the research carried out by Friends of the Earth Scotland which shows high levels of pollution at Seagate, Lochee Road, Meadowside, and Whitehall Street previously and now I want to see effective action. Creating the best environment in the city that we can should be a priority for the City Council. I know that Dundee City Council is trying hard to take action that will deal with poor air quality in some parts of the city. But year after year the same streets are named as the most polluted. This is having a real impact on the health and quality of life of people in the city. The council should be looking for ways to make a real difference and make significant improvements to these polluted streets. I will be looking for further briefings on air quality and seeking to take action to make a real difference to the environment and the quality of life for people in the city. This is an issue for the City Council but it is also an issue for other parts of the public sector like the NHS as well as businesses, the voluntary sector and the community. It is not acceptable for the same streets to be named amongst the most polluted in Scotland year after year. People who live and work in these areas deserve effective action to combat pollution. I know that my trade union, the GMB, is very concerned about the impact of air pollution on workers who spend their working day outside.